São Carlos Institute of Physics, University of São Paulo, Brazil. The challenge to be addressed in this regard is to go beyond the classification-type of task so well executed now in many instances with machine learning, especially with deep neural networks. For interpretation – both for understanding and generating natural language – requires the machine to be capable of synthesis and inductive reasoning. One can only speculate how these hugely complex problems will be addressed. Attempts to represent knowledge as humans are used to have mostly failed for sophisticated tasks. In any case, developments in NLP and intelligent machines will impact society in many different ways, some of which are cause of concern, particularly those related to the job market, education, privacy, and social inequality. It is high time to discuss these aspects alongside the technological advances. 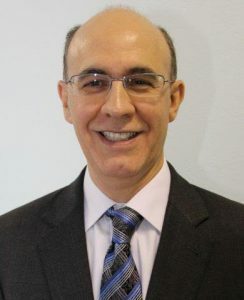 Prof. Osvaldo N. Oliveira Jr. is a professor at the São Carlos Institutefrom the University of São Paulo, and PhD from the Universi He served as Associate Editor of the Journal of Nanoscience and Nanotechnology from January, 2007, until July, 2017, and Associate Editor for Display and Imaging, from 2014 until July, 2017. He is currently associate editor of ACS Applied Materials & Interfaces. In 2006 he was awarded the Scopus Prize, given to 16 Brazilian researchers considered the most productive in terms of papers published and citations.